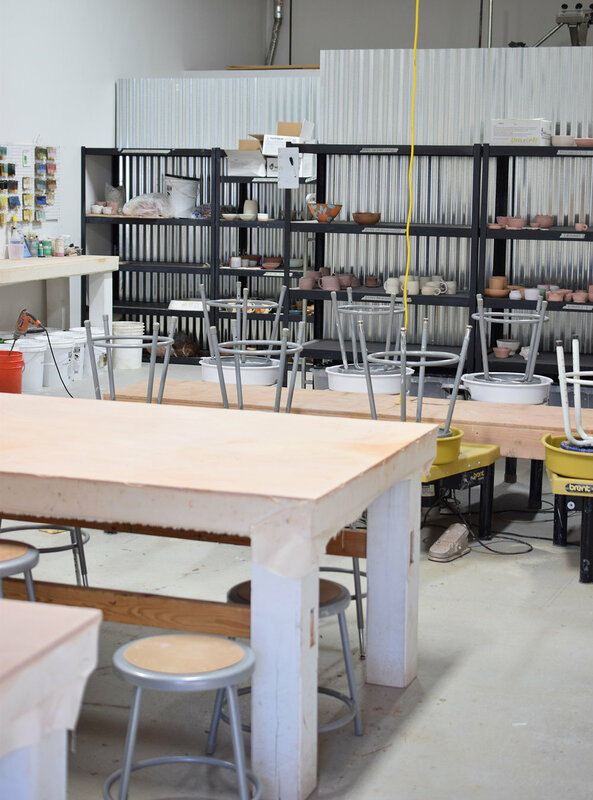 Want to work in the community clay studio at your own pace? Please email petalumapottery@gmail.com for all of the details! We’re so excited to announce studio membership in our Petaluma, CA community studio. If you’ve worked in clay and are looking for a studio to continue your practice consider joining our group of emerging studio ceramicists! All of the details, logistics, and perks below! Open studio monitors must be self motivated, responsible individuals with great studio etiquette and and eye for cleanliness and an interest in seeing our studio develop! Monitors will be responsible for one pre-planned 3 hour time slot per week where they will have the studio open for students who are currently enrolled in classes. In this capacity you will be responsible for checking students in and out, answering basic questions from students, and steering students in the right direction for basic logistics. You are not required to answer technical questions and they understand that they should be working within their skill set and be primarily self sufficient. 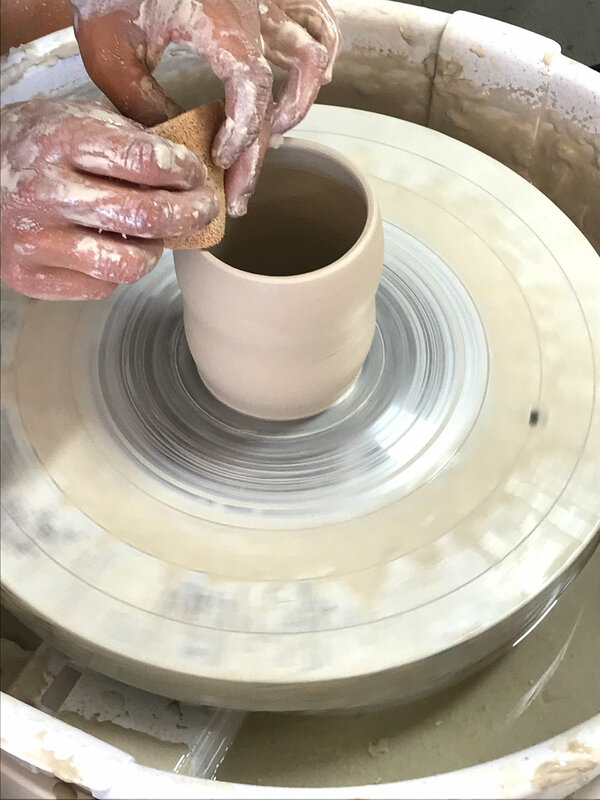 Our studio memberships is typically contingent upon an in-person interview with Forrest Lesch-Middelton and will only be offered to previous students of Petaluma Pottery or those able to show proof of previous instruction in clay. In our interview process you will be asked about your level of understanding of being part of a community studio as it relates to cleanliness, communication, studio flow and organization, where to put and pick up completed work, purchasing clay, entering and locking up the studio, equipment operation, and your ability to use the studio safely without supervision. Don’t stress… we just need to make sure our studio is a good fit for you, and you are a good fit for our studio! Interested? Send an email to petalumapottery@gmail.com and mention “studio membership” in the subject line. Members are allowed to work anytime between 9:00 am - 10:00 pm, 7 days a week with the exception of when classes are scheduled or special events are taking place. We foresee classes and events running 1.5 - 3 hours between and 2 to 3 times per week, with 1-2 special workshops or private events happening quarterly. You can always find our current list of courses and events on our calendar at www.petalumapottery.com/calendar and we will always try to schedule events at least 1-2 weeks in advance so you can appropriately plan your time. Access to firings! In addition to a beautiful studio with great equipment your membership comes with access to our electric kilns, and gas firings on special occasions. Petaluma Pottery will host an open house 1-2 times a year. Our open house typically includes some sort of community activity + sale which members are invited to volunteer at and/or sell their work. Petaluma Pottery will host ongoing membership days where members can come in alongside Forrest and have demos, talk about new glazes, materials, techniques, etc. you might be interested in bringing to the studio. Members receive 10% off workshops. You must clean up after yourself, if you fail to clean up after yourself you will lose your studio privileges and your deposit will not be returned. This includes your personal space, community spaces you’ve used, if you’ve spilled anything on the floor, etc. etc. While our membership offers a robust community, there is no formal instruction for members, make sure you are working within your own skill set and knowledge base and save questions for teachers, or membership days. You may not bring in outside clays, slips, or glazes without our approval and sign off! This is extremely important! This ensures the life of our equipment, and that all of our materials are being fired correctly and are cohesive with each other and that there is no cross contamination. As with classes, the cost of clay includes the cost of glaze materials associated with it as well as the cost to fire your work. While it is fine for you to bring a friend or family member by for a quick visit to see what you are working on or give a little tour it is not okay to bring in outside help, workers, friends, children, etc. to work on either your projects with you or their own projects. You may not teach private lessons in our studio. Please familiarize yourself with the studio, do not use equipment you have not been trained on. Make sure your completed work goes on the correct shelf for firing and that any work that is not complete is properly labeled and stored. All work must be labeled. You are responsible for returning for your bisqued or glazed work within 1 month. Any work that is left on the community glaze or bisque shelves for more than 1 month will be discarded. Any work glazed improperly will not be fired. Members will receive a shelf space with a cubby for storage. There is also a shared members shelf. Anything that exceeds these areas must be taken with you upon each visit. Be respectful of your fellow open studio members. Unless otherwise agreed upon take phone calls outside, listen to music with headphones, etc. Reports of disrespectful conduct may result in the termination of your open studio and class participation.